Did Major League and Minor League Baseball Ban a Female Player From Playing in the Minors? « What Rule Change Kept Famed Pulp Novelist Zane Grey From Ever Playing Professional Baseball? 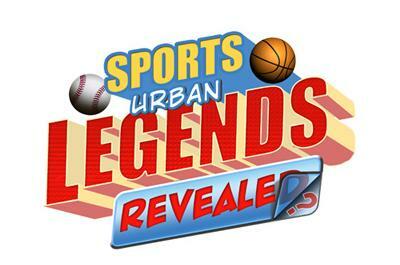 BASEBALL LEGEND: A minor league team signed a female baseball player but then saw her contract voided by the commissioners of the minor leagues and the major leagues! 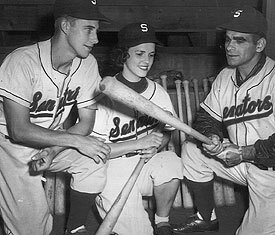 The Harrisburg Senators played in the Class B Interstate League during the 1950s and they were not doing particularly well in either the standings or attendance. 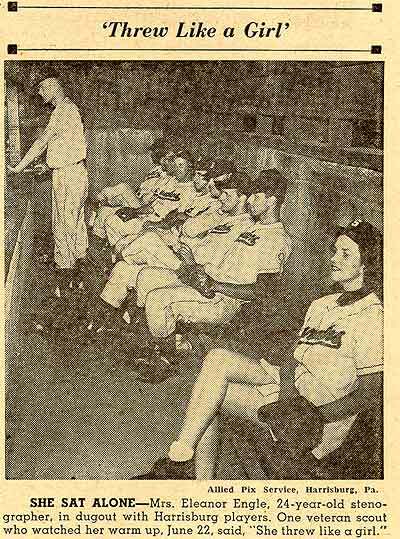 So for whatever reason, in June of 1952, the team offered a contract to Eleanor Engle, a local softball player and a stenographer with the Pennsylvania Utilities Commission. However, Engle’s tenure as a member of the Senators was short-lived. George Trautman and Ford Frick, the commissioners of the minor and major leagues, respectively, quickly voided the contract and Engle’s professional baseball career was stopped in its tracks. So as to remove any possible doubt as to the attitude of this office toward any such contract I am notifying all clubs that signing of women players by National Association clubs will not be tolerated and clubs signing, or attempting to sign women players, will be subject to severe penalties. I have consulted with Commissioner Frick on this matter and he has asked me to express his concurrence in the view that this is just not in the best interest of baseball that such travesties be tolerated. While it’s true that it is likely that the Senators were just doing it for the publicity, it is still a shame to see such a violent reaction to the notion of a woman playing professional baseball, especially in the minor leagues!! Engle went on to work for IBM for almost 30 years. 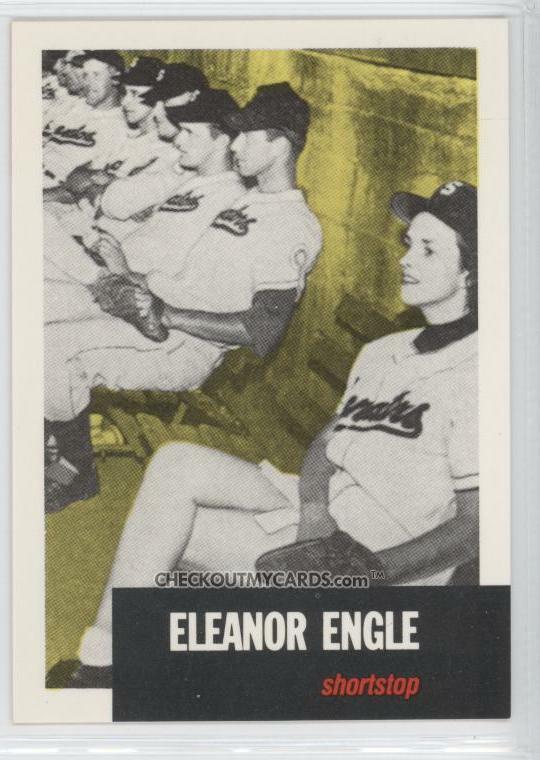 Retired now, Engle is in her early 80s, and has recently begun discussing her baseball past, even allowing the aforementioned card to be made (she had denied all entreaties about collectibles over the years while she was still working at IBM). This entry was posted on Thursday, September 3rd, 2015 at 2:44 pm	and is filed under Baseball Urban Legends. You can follow any responses to this entry through the RSS 2.0 feed. You can leave a response, or trackback from your own site.